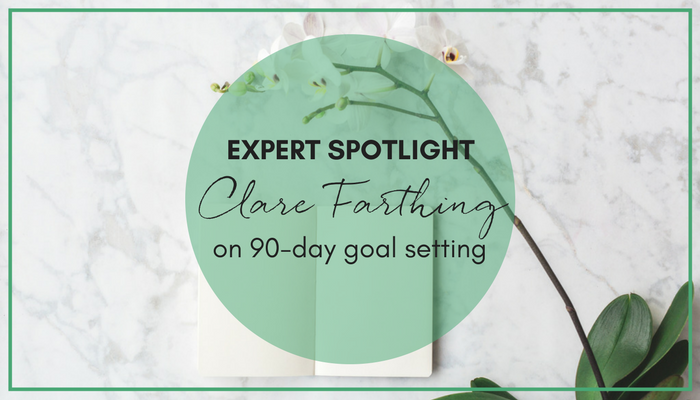 This is a powerful interview where I extract all of Clare’s best practices on 90-day goal-setting. How should we go about setting our goals? How can we stay on track with our goals and what should we do if we get sidetracked? What is Clare’s #1 recommendation for this year end as we ease into 2018 with new goals and hopes for the upcoming new year? Have you started setting up your goals for 2018? What would it take to make 2018 your BEST year ever? Share with us in the comments below any insights you’ve gained from this interview and what your goals are for the upcoming quarter! Clare is a Confidence Coach and Mentor and works with female business owners and lives in Hampshire, UK. With a strong corporate background of nearly 30 year’s Clare launched her first business in 2015 on the back of two redundancies within 6-months of each other. Clare went on to win an award in 2016 and launched her second business – herself as a brand under the ‘Inspiring Success’ tagline. Clare has the ability to adapt to each client’s needs using either her Coaching or Mentoring skills. Clare firmly believes that YOU are your business which is why it’s so important that you are showing up with the right mindset, confidence, clarity and vision and will support you on your ‘Journey to Success’ by using her own experience and lessons learnt in launching and running two businesses of her own and 28 year’s of corporate life! 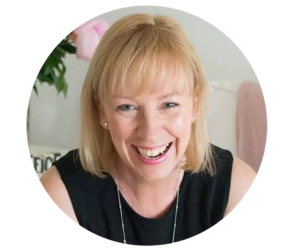 Clare’s passion in life apart from waking her crazy Border Collie and eating good food is to inspire as many women that she can and to give those lacking in belief and confidence to launch their own businesses, plus help with collaborations amongst her community. Click on the image below to connect with Clare or join her Inspiring Success Facebook Group!